You’re sitting in a restaurant that’s famously known overseas and joining across your table is a group of fashionable millennials taking their seats after few minutes of negotiation on where is the best spot. Their gold chain purses hang at the side of their ripped mom jeans and graphic floral-printed tops with their minimal no-makeup makeup look. Everyone is busy chatting their brunch hour away on a sunny Sunday while waiting for their scrumptious meals. After placing food on the table, the millennials quickly reach for their phones and squeal softly at their aesthetically-pleasing choices to take pictures. One girl stood up from her chair to properly place each person’s plate and glass to make it look as appealing as possible. The right amount of sunlight hits the glass of overpriced iced melon tea and she takes the shot. More than three different editing apps are used to correct colour, composition and lighting. After 7 and a half minutes of choosing the right filter from the food photography book, it goes on Instagram for 20K followers to see. In our previous story, we talked on what it takes to be an influencer. The never-ending product reviews and becoming new faces of advertising. The new generation of millennials were set to dominate the world of digital media, leaving behind billboard and television ads. The rise of a rapid new era. But, who started all this? The word ‘influencer’ only came about recently, but who started this wave of social media socialites? Take a young girl from the nooks of Tawau, Sabah and a big dream of becoming a supermodel. Amber Chia was just 17 when she left her hometown to pursue her passion, leaving behind parents, 4 siblings, school and work that supported her family. Fast forward to the present, this now mother of one, has been in the modelling industry for 20 years. During KLFW 2018, she graced the catwalk of Jovian Mandagie alongside other OG models like Fadzlun Abas, Aleeza Kasim, Vanessa Tevi, Deborah Henry and Tinie. Crowds cheer as she struts her signature catwalk down the runway as it has been ages since Amber made her debut. “When I started 20 years ago, I was lost. I didn’t know what to do or where to go, there just weren’t much jobs for me”, said the supermodel when talking about how she first started. 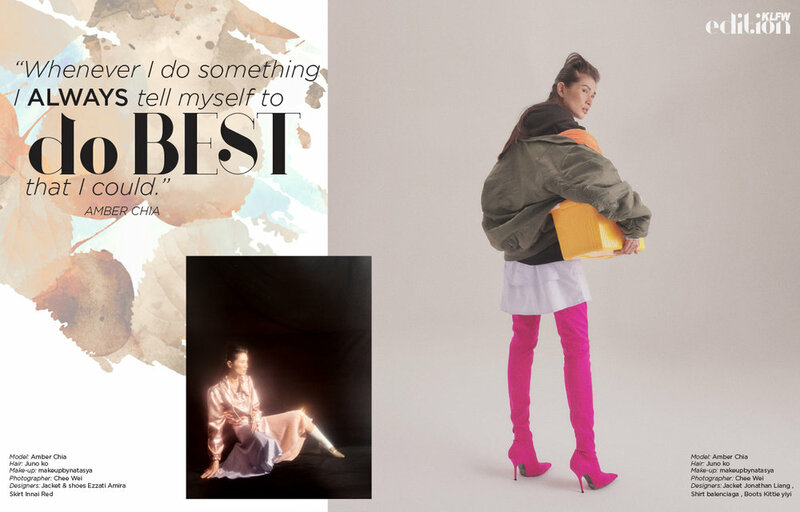 Started with a humble beginning, Amber made her way to the surface of Malaysia’s fashion scene when she became the face of international brands. Her name was becoming more known and everyone wanted Amber as their ambassador. “Whenever I do something, I always tell myself to do the best that I could. I felt the passion, I love modelling and I really love the fashion scene. 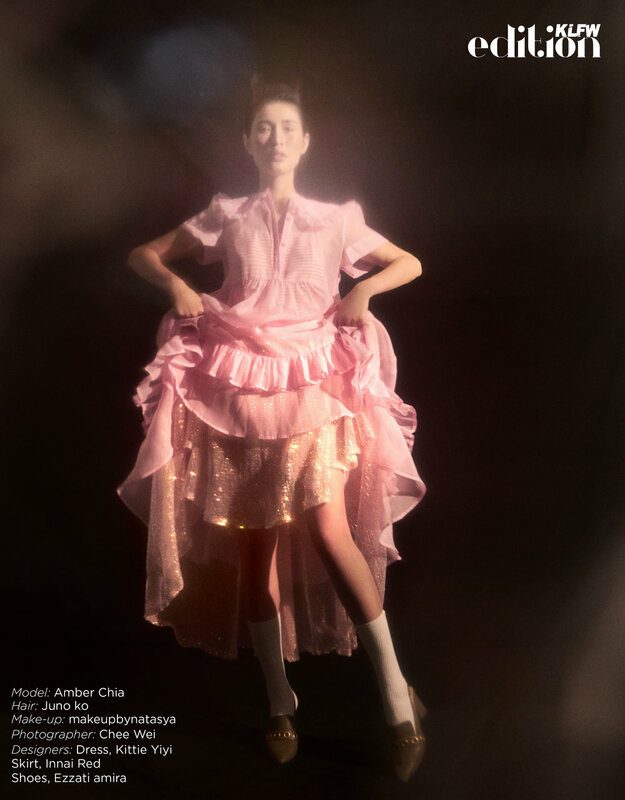 I actually never knew I could make it this far and I’m so happy and glad that I did not quit halfway,” said Amber when asked if modelling was her interest since young. She has come a long way in the homegrown fashion industry, from becoming one of the first Asian faces to brace the covers of Guess campaign, to walking for Victoria Beckham at NYFW. Amber Chia is what the millennials call ‘the OG’ supermodel of Malaysia. When ask on what it takes to survive in the industry, Amber emphasized that professionalism and good behaviour play the biggest role. When talking about endorsements, brands like Adidas, Nike, Gucci, and MCM have made social media influencers as faces for their campaigns. For the Malaysian market, you’ll come across at least two people on your feed doing either a skincare or clothing review. Tap on the ‘Explore’ button in Instagram and it opens to an interactive world of ‘influencer’ branding themselves to their followers. Amber was one of the first who started the endorsement and branding game. Back when television and billboard ads were the primary source of advertising, she conquered brands like Celcom, L’Oreal Professional, Guess, Sony and Pensonic. 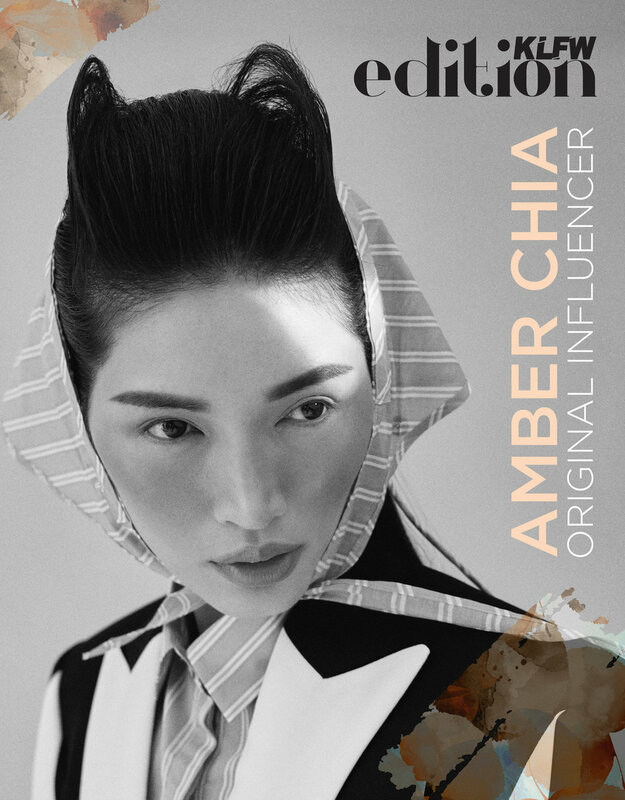 “I know now that when people mention my name ‘Amber Chia’, they’ll think of key words that describes me best which is supermodel, entrepreneur and mother,” said the triple-threat lady. Amber adds, “What you post on social media reflects who you are, which is like branding. You need to know what the followers want to see from you and then do it so you they could get close you. I am so grateful for internet and social media now because it has closed the gap between an entertainer and his fans. I can interact closely with my fans now unlike in the old days where I can only meet them at a few events and occasions. The beauty of being an influencer.” As the model rushes to her next appearance, she shared some details on how to reach her. Her Instagram is @amberchia or you can contact her manager Sher Min at 017-588 6392.